Earlier this year and in limited release, Stand Up Guys made its way to theaters with a cast boasting a trio of the best actors ever to grace the silver screen. I have to say that when I saw a preview for this film, I salivated. I thought, who wouldn't want to see Al Pacino, Christopher Walken, and Alan Arkin in the same movie. Stand Up Guys opened on a gloomy February Friday and I was first in line, eager to see if these three cool cats could deliver a winner. However, my expectations weren't high seeing that the film was released in the early part of 2013, and it was saddled with mostly negative reviews from critics across the country. But I have to say I was pleasantly surprised. Stand Up Guys is entertaining, amusing and to some degree, touching. It tells the story of three aging stick-up guys who reunite for one more night on the town (as a audience, you don't know what town or city these guys are in, but I'm thinking it's somewhere in L.A.) One of them (Al Pacino as "Val") just got out of prison after serving 28 years for murder. Then we have Christopher Walken's character ("Doc") who is Val's best friend and old partner. He picks up "Val" from prison and then has orders from his crime boss to kill him by 10am the next day. If Doc doesn't go through with these orders, he'll be dead too. In a small twist early in the film, Pacino's character figures out what's going on and accepts this fate. But not without having a heck of a lot of fun with his best friend and partner for life. They even go to a retirement home to pick up their other buddy, Richard Hirsch (the likable Alan Arkin). Actually, they break him out, but you get the drift. Mischief and mayhem are abundant as these guys party like it's their last day on earth (actually it might be for Val). The fact that we know as an audience, that Val already knows he's going to die, gives us a reason to tag along with these guys to see how the film ends. Stand Up Guys has a somewhat dark undertone but in reality I think it's actually more of a comedy. The actors, with the exception of Walken, are pretty much playing themselves. Pacino's character even goes back to parlay his Scent of A Woman shtick one more time. Arkin doesn't rant as much as he does in other films but you can still tell it's him. That leaves Walken, giving a surprisingly restrained performance. It's still solid because you can see raw fear in his weary eyes. His character has a big decision to make. Just like the movie. 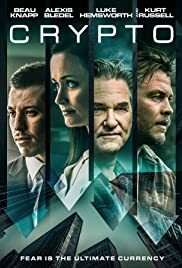 You, as the viewer, can decide whether Stand Up Guys is a drama, a comedy, or a typical Hollywood mob shoot-em up (there are a couple of well done gunfight scenes as well as fist fight scenes). The plot that accompanies Stand Up Guys is relatively thin skinned. But it doesn't matter when you got three great actors having such a good time. Let me put it this way, the whole concept this vehicle permeates, is a great idea for a film. It's something studio execs would green light in a heartbeat. If you want my honest opinion, this thing isn't going to win an Academy Award, and it's definitely not going to be a cult classic in 20 years. But if you want to turn your brain off for two hours and be royally entertained, Stand Up Guys "stands up" to anything in the local multiplex.